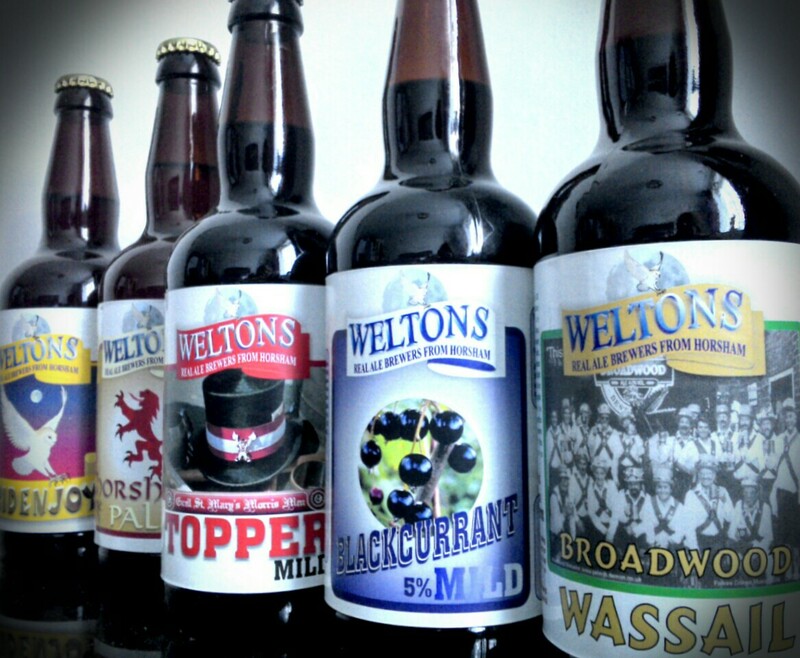 Back on the 14th March I spent an afternoon getting to know the beers and brewery that is Welton’s of Horsham and I was given a selection of seven bottles to take away and review. The beers varied from their low abv Pridenjoy through to a couple of milds, a couple of fruity brews and their 6.1% stout. This is cola-brown in colour with a grassy hop aroma. A light carbonation carries roasted, biscuit malts that slowly develop into fudge and toffee hits and then a dry, bitter, lingering finish with a crisp edge on a light mouth-feel. As you progress through this mild, the toffee flavours become more dominant with every sip. This refreshing mild pours with a very frothy, creamy head- full of sweet, fruity aromas atop biscuit malts. The carbonation fills the mouth with fizzing pockets of fruitiness over a body of rich and roasted malts. A dry hop finish lingers as it edges out any sweetness and fruit highs from the the blackcurrant. Lovely aromas of marmalade on toast waft from this low abv amber, with light carbonation initially filling the palate with biscuit. A clean, fresh mouth feel washes in leaving pleasant notes of light toast with a gentle and lasting citrus bitterness. An ideal accompaniment to a bacon sarnie brunch or welsh rarebit. This new addition to the Welton’s regular line-up makes use of American hops Zeus and Apollo. Grapefruit citrus, pine and pepper appear in the aroma of this pleasant pale and again on the palate with a very fresh, uncloying mouth-feel. I’d like the pepper kick to be a little bigger but would probably be enhanced by a food accompaniment. This is an ideal beer for people that like a light, refreshing pale without being smacked around the face with hops or a high abv. 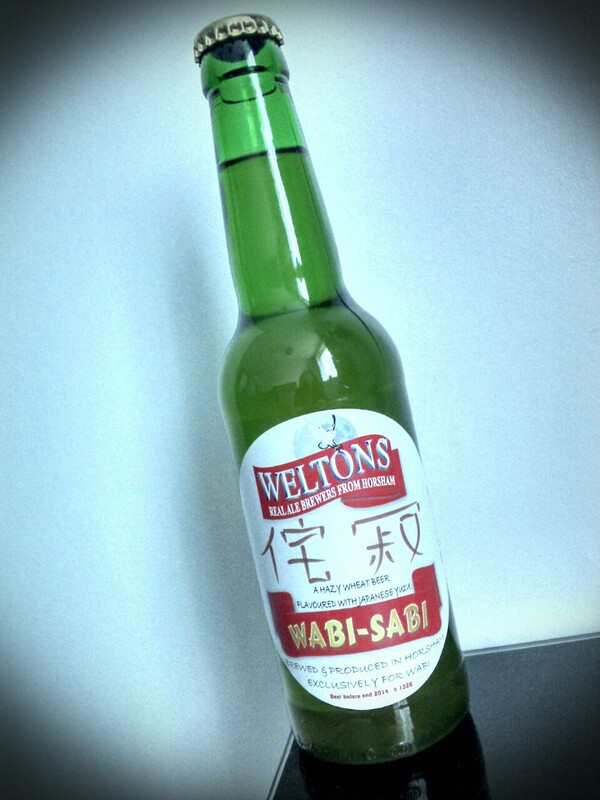 This award-winning wheat beer is brewed exclusively for local restaurant Wabi, and features the addition of a Japanese citrus fruit, Yuzu. A refreshing, effervescent brew with light malt notes underpinning fruit highs of mandarin, lemon and grapefruit with a delicate bitterness from the yuzu. This is a moreish beer with flavours that build and cleanse the palate. I’d love to see this fruit used more often and it’s almost a shame this beer is exclusively tied to the local restaurant. Get to Horsham! A nod to the local Broadwood Morris men this stout packs the biggest punch of all the beers in this selection. A sweet aroma of fruit cake and caramel and again on the palate, sticky caramel sweetness and rich fruit play amid deep roasted malts and a very delicate smoked essence. The stronger alcohol content is evident in the taste with a warming quality in the finish. Regular Innis & Gunn drinkers would have the palate to appreciate the sticky sweet and rich & warming qualities of this beer. 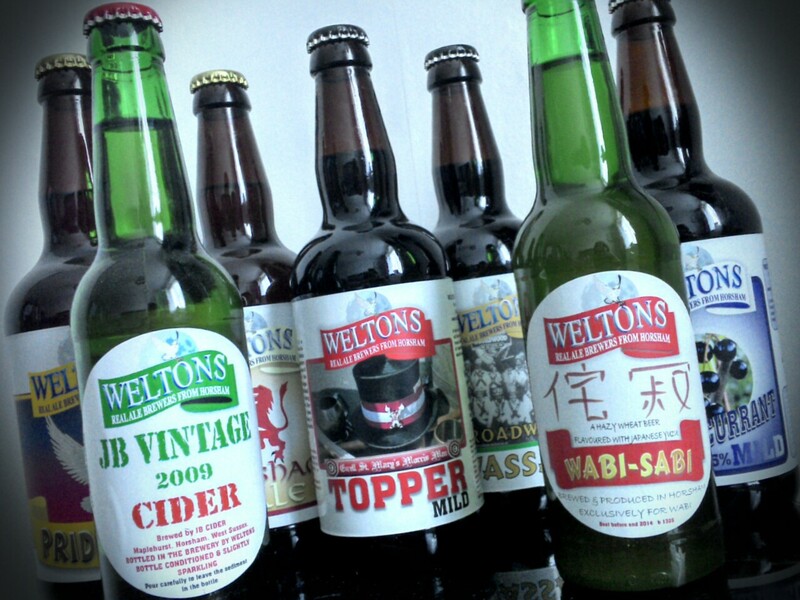 This bottle conditioned JB Vintage Cider is bottled on site at Welton’s. This poured a near-clear golden colour with a woody, earthy note appearing in the aroma. Dry on the palate with a mildly sweet, crisp edge and a woody quality accompanying the apple. I’ll drink a little scrumpy now and then but my palate is so used to beer that I’m not great at pinpointing the characteristics in cider. Weltons beers can be found on cask in pubs in and around the South and bottles are available from The Beer Essentials in Horsham.